Walker & Company, 9780802797957, 32pp. In bouncy, appealing rhyme, young readers are introduced to a classroom with a hairy problem-guinea pigs that keep adding and adding From one lonely guinea pig to two to five and all the way up to twenty, the kids find that having a classroom pet is more than they bargained for. Finally, each student gets to take a guinea pig home, until they are left with zero. That is, until Mr. Gilbert brings in a rabbit with a growing belly . 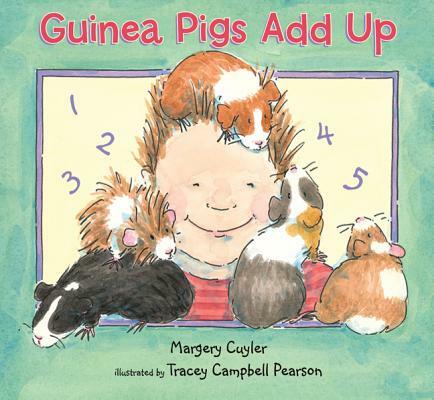 . .
From master storyteller Margery Cuyler and with energetic illustrations from Tracey Campbell Pearson, Guinea Pigs Add Up is perfect for budding mathematicians-or anyone with a love for unruly animals.